I’ve found a love for ripped jeans at the wrong time of year. 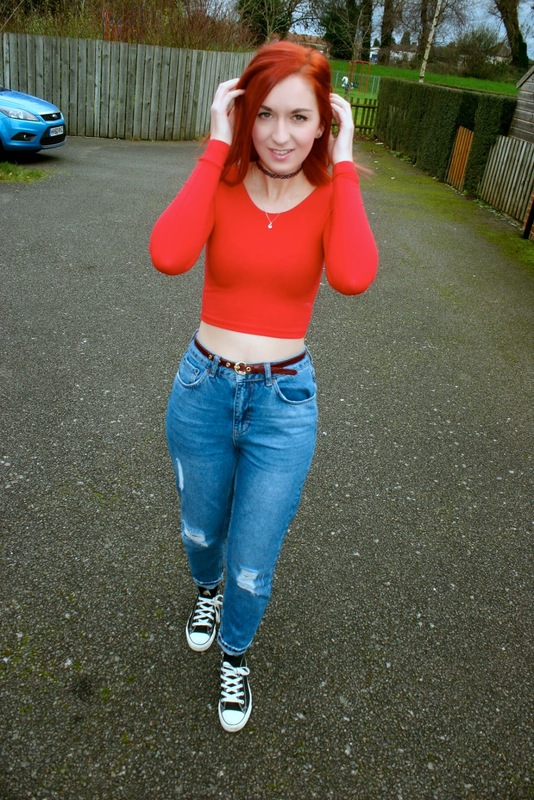 I was recently sent this lovely American Apparel crop from Buy TShirts Online which sell a fantastic range of products including lots of AA at such reasonable prices! This crop was exactly what I was looking for to pair with my new ripped Mom jeans. It’s only taken me since last March to find a pair of ripped jeans I actually sort of like the look of on me – I’m still unsure. I seem to have found them at the wrong time of year though! I do find it hard finding what shoes to pair with Mom jeans in the winter as I just find that boots with them don’t suit me. If you have any recommendations then please do let me know! I can’t wait to bring out the sandals with them in the summer. I actually have too many clothes and shoes that I can’t even see or remember what I own anymore so my style inspiration is lacking lately, I am well over a due a huge clear out! After taking these photos Karl and I then spent the rest of our afternoon with this little cutie. More photos of Diesel to follow!